Not everyone loves HDR photography, but those who do will be pleased about the new HDR merge mode in Lightroom 6. It’s simple and straightforward – select up to twelve images to merge, apply anti-ghosting settings, and then if you want you can save the image as a 16-bit raw DNG file. Create panoramic images with Lightroom’s quick merge function, which offers three different merging modes – spherical, cylindrical and perspective. Lightroom has the capacity to automatically exposure-match the images and crop down to create the final panorama. These can also be saved as DNG raw files. 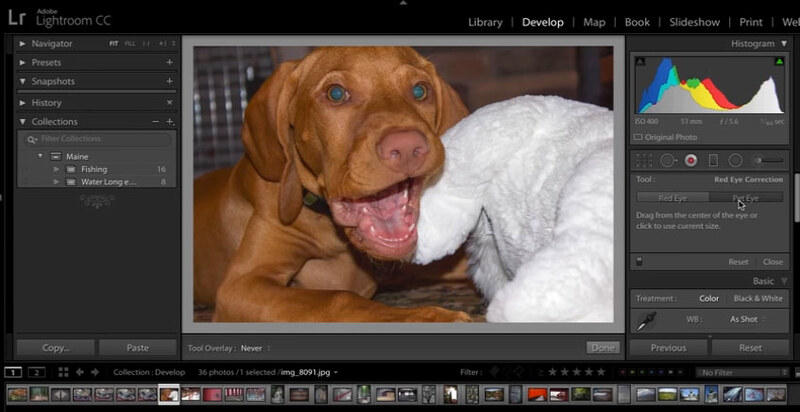 Lightroom can now locate faces in your images and allow you to assign a name to them. It’ll remember which name belongs to which face and can automatically go through your catalogue and tag people who appear in multiple images. This probably won’t be of interest to everyone, but if you’ve ever felt that your life was missing the ability to create natty video slideshows of your images with the transitions synced to the accompanying music, Adobe has finally scratched that itch with its new Advanced Slideshows. 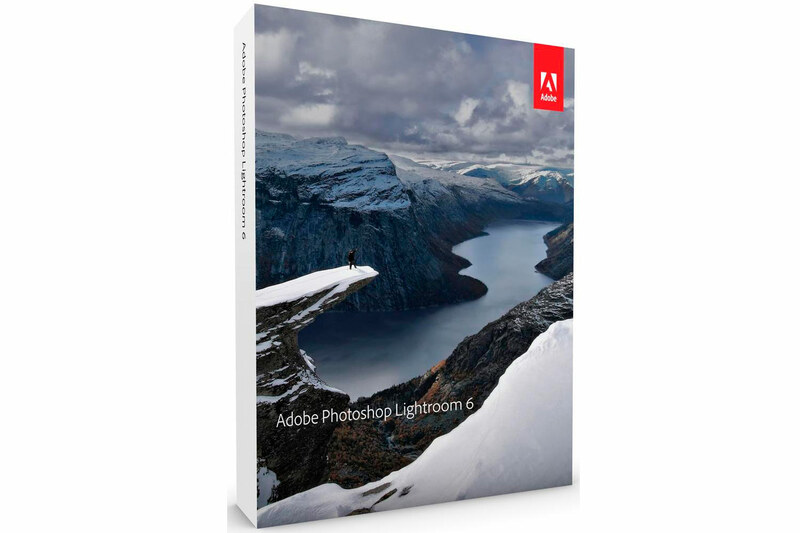 This functionality is only available to those who sign up for the Creative Cloud version rather than buying the standalone Lightroom 6. CC users will be able to sync the latest version of Lightroom with the Lightroom mobile app, allowing for easy access to image collections on multiple devices, with edits carried over. You can now use the brush to apply filter settings. This means if you want to apply a graduated filter on a sky in an image where the horizon is interrupted by foreground objects, you can now use the brush to prevent the filter from affecting these objects. Adobe has excitedly drawn attention to the overall performance improvements in this update, particularly the ability to use your Graphics Processing Unit to speed up image editing. There’s more on how this works in the video below, including system requirements and how to make sure it’s working, but the bottom line is that it will make Lightroom run faster. This is not what it sounds like. Lightroom will not remove your pet’s eyes. Instead it will apply a function similar to red-eye removal specifically for the green-eye effect that can plague cats and dogs. This, we can hopefully all agree, is much nicer. 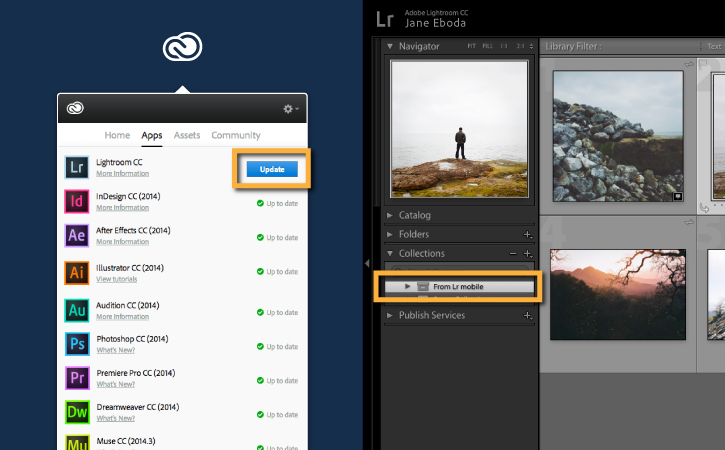 Lightroom now includes HTML-5-compatible gallery templates to allow for easier creation of web galleries. This means you’ll officially have no excuse not to get around to making that portfolio site you’ve been promising yourself for a solid year you’d get around to doing. If you’re diligent about keeping your images in collections then you’ll welcome this feature, which allows you to add your images directly to new or pre-existing collections when you import them.